Mixed media Star Wanderering figures and their Stump critter and Celestial bear friends - plus storyteller scenes...and other creatures as they appear. 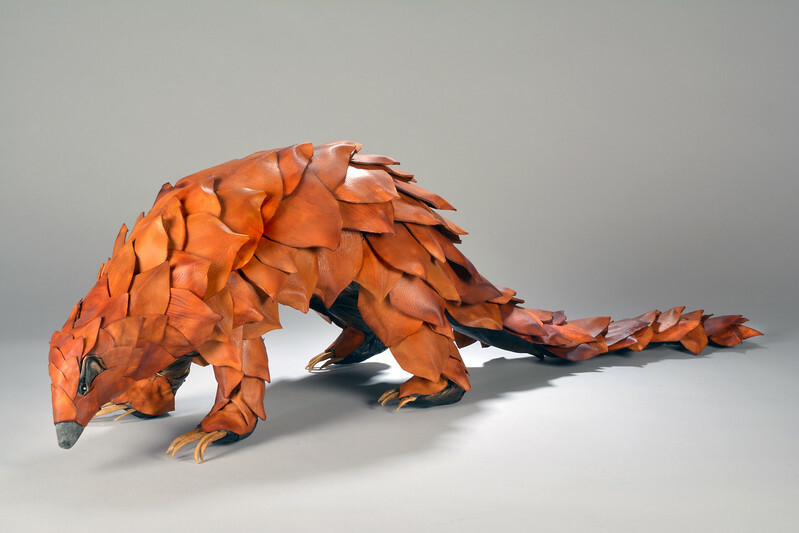 Sculptural leather creature inspired by Pangolins. wire armature,, leather body with stitched on hundreds of wet-formed and dyed individual scales, rawhide claws, stone snout.